Indigenous communities in Finland rejoice as years of negotiations lead to agreement over the Nordic Sami Convention. But critics remain abundant. Eleven years of negotiations between Finland, Norway and Sweden were successfully brought to an end as a unified Nordic agreement on indigenous Sámi rights and culture was signed on 13th January. «An agreement of this scope has been in the works for many decades,» President of Finland’s Sámi Parliament, Tiina Sanila-Aikio, says to Yle Sapmi. «In the early 2000s, a working group was established to elaborate an agreement draft, and in 2005 negotiations began. Now, in 2016, this group of negotiators has agreed on a Convention. It is a very big deal for us,» she adds. The agreement ostensibly broadens the definition of Sámi persons eligible to vote in Sámi Parliament elections. Based on the model applied in neighboring Norway, it defines a Sami citizen not only judging from language skills, but also from identity criteria. The Convention extends the number of people entitled to vote in Sami Parliament elections to anyone «who considers herself or himself as a Sami and 1) has Sami as native language or 2) has a parent, a grandparent or a grand grandparent who has had Sami as native language, or 3) has a parent who is or was enrolled in the Sami Parliament census». The Convention, so far available only in a Swedish-language version, includes a total of 46 articles, all of which include joint Nordic approaches in safeguarding and strengthening Sami rights. «This agreement helps harmonize and integrate the Sami people in all the Nordic countries», Sanila-Aikio underlines. It is still a way to go, however, before the Convention is included in national legislation. On 24th January, the agreement will be assessed by the Finnish Sami Parliament. Then, it will he handed on to national lawmakers. It will have to be approved both by Government and the President. If successful, it will come into force before the next elections, due fall 2019. “I hope there will be no opposition, but realistically speaking some form of debate and criticism will likely arise,” Sanila-Aikio says. That criticism is already on the surface. Three Member of Parliament from Lapland, the northernmost Finnish region, voice their opposition to the new agreement, arguing that current Finnish legislation on the issue is sufficient. Mikko Kärnä from the Center Party says that he «under no circumstances» will approve the amendments, Yle Sapmi reports. «If you want to develop the Sami language and culture in Finland, the agreement must not be accepted under any circumstances», the MP underlines. «Finland must get agreement on the issue in its own country, rather than to seek a solution with neighbors», he adds. Meanwhile, MP Johanna Ojala-Niemelä accuses the elaborators of the agreement for having operated in secrecy. Also Lapland MP Markus Mustajärvi criticises the Finnish Justice Ministry for having allegedly shared information about details in the Convention only with government coalition partners, Yle reports. Sami Parliament President Sanila-Aikio is confident that the Convention ultimately will be approved, but that it will take time. All the three countries’ Sami Parliaments and national legislative assemblies will have to concent. 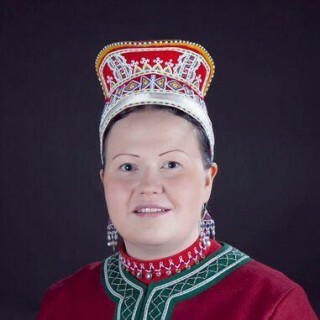 Who speaks up for the Sami people in Paris?